If toy browse a little further down, you can also find the Porto Vista Hotel in San Diego for $99 per night, domestic flights to major cities with the award winning Virgin America from $49 one way, all-inclusive Bahamas vacation with air from $589 per person and more. Hurry up, the best deals will sell out soon! 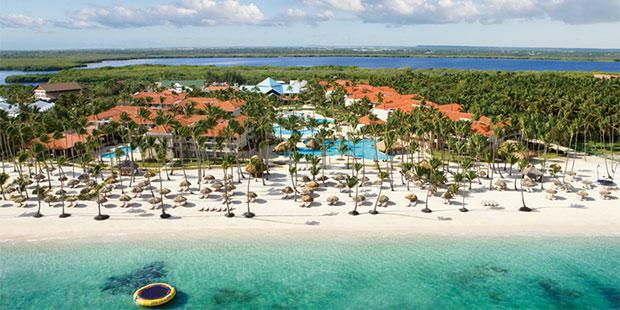 This Dominican Republic vacation package deal includes a round-trip airfare from Fort Lauderdale to Punta Cana, 4 nights stay at the Dreams Palm Beach Punta Cana resort, all-inclusive amenities plus taxes. The Dreams Palm Beach hotel has got dozens of amenities, like swimming pools, a full size spa, eight restaurants, bars, its own theater, tennis courts, a fitness center, Kid’s Club with supervised activities, water sports and a lot more. Select your favorite merchants from the box and compare their rates for similar Caribbean vacations to be sure that you have booked the best one!